I kind of have an obsession with vanilla bean paste. I love the taste of it in so many applications. Cake, cookies, buttercream. Seriously, I can’t stop myself. When I saw Kelsey from Kelsey’s Essentials using vanilla bean paste in a recipe for lemonade I had to give it a try. My friend Susan had just recently supplied me with another surplus of lemons from her dad’s lemon tree so I did double duty and made lemonade and started my lemoncello. 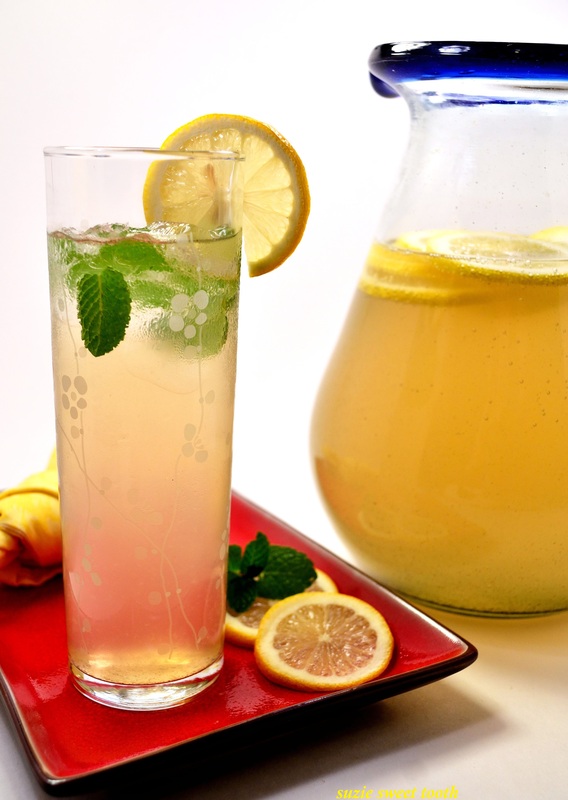 The lemoncello takes a while to steep; so stay tuned for that recipe a little down the road… In the meantime I am enjoying this lemonade recipe. I hope you give it a try. I tweaked the recipe slightly from the original recipe by Kelsey to up the amount of lemon juice and decreased the vanilla bean paste a little as I like my lemonade a little assertive but I encourage you to give it a try. I know it is the dead of winter, so if you want to wait until summertime to give it a try with your next BBQ, so be it. It’s all good. Either way, cheers to you and Happy New Year! 1. In a glass measuring cup place 3/4 cup water and add 3/4 cup sugar. Heat in the microwave on high for about 40 seconds or until the sugar dissolves when stirred. Place the mixture in the fridge to cool. You have just made “simple syrup”. 2. 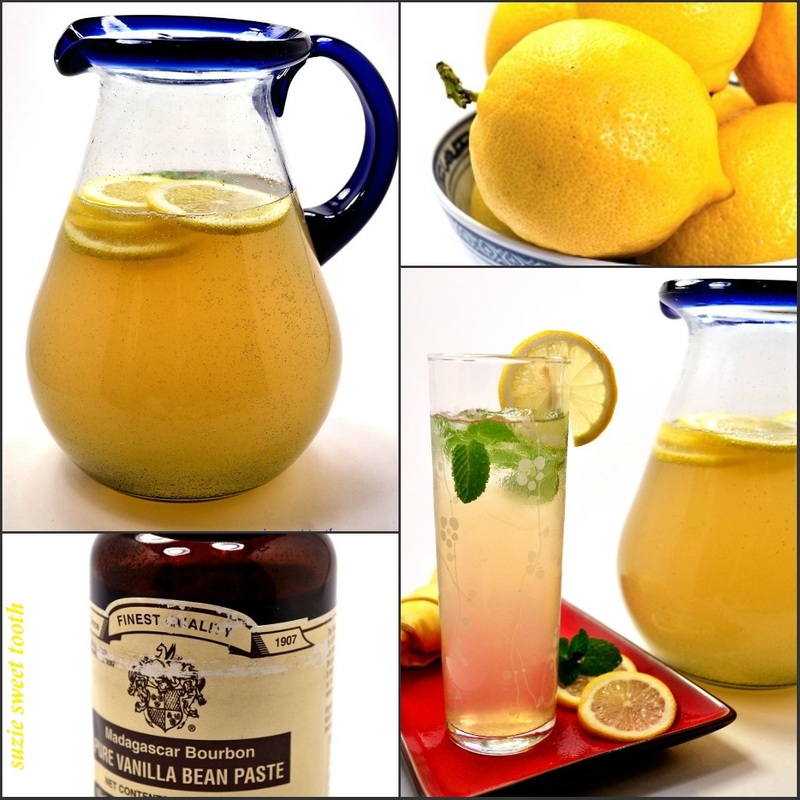 In a large pitcher stir the lemon juice and vanilla bean paste. Add the sparkling water, cooled simple syrup, and lemon slices; stir to combine. If you are not going to serve immediately wait to add the mint leaves. The leaves will turn dark as they sit in the lemonade; so if you are going to serve the lemonade at a later time wait to add the mint until 20 minutes before serving. Serve chilled over ice. I have been looking for a good non-alcoholic drink recipe to serve for non drinkers during my (semi-)frequent cocktail parties. This looks absolutely delicious — thanks and happy New Year!